If you like cars, this is a good time to live in Kansas City. With cruises in Spring Hill, Overland Park, and Independence, plus full-on car shows in Grandview, Merriam, and Newton, there’s going to be someplace to look at nice shiny cars. You can also go to the Lawrence Swap Meet, or check out some races at one of the many local tracks running this weekend. Whatever your favorite car event, you can probably find it on the calendar below. 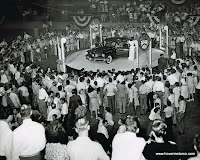 The Mecum Spring Auction in Kansas City obviously takes place so people can buy and sell cars. But as far as I’m concerned, it has become one of the best car shows in Kansas City. Here, you can see some really great, really unusual cars and trucks. And since it comes in from all over the country, it’s not the same stuff you see at every other car show. I just hope a lot of these vehicles were sold locally, because there are several of them that I’d love to look at again. There are some pretty big car events taking place around Kansas City this weekend. If you want to buy a car, make sure you get over to Bartle Hall for the Mecum Auctions specialty sale, which takes place over three days. This one has a national spotlight, so you don’t want to miss it. If you already have a car, there are big cruises in Liberty and Belton. There are also car shows in Pleasant Hill, Grain Valley, and Olathe, just to name a few. The entire Kansas City car show, car cruise, and car racing schedule for April 24, 25, 26, 27, 28 is listed below. The Wal-Mart on I-29 and Barry Road was having a sidewalk sale on Saturday, and I was able to score a new Norelco electric shaver for less than half of what it cost normally. That’s lucky; as in “Lucky 13.” And you know what else was benefitting from lucky number 13? The KCCA Corvette Show in the back corner of the Wal-Mart parking lot. They were celebrating their 13th anniversary of this event, which is an annual fundraiser for Camp Quality. Spring is a nice time of year for car cruises. Take the Outta’ Control Hot Rods Cruise in Platte City on Saturday night. Compared to the humid, blast furnace-like conditions we’ll get later this summer, this one was considerably more comfortable. A light jacket, and you were good-to-go. I like this Platte City Cruise because Larry Colstion and the gang do a nice job putting it together, but also because the parking lot is connected to some decent food choices. I’m a Pizza Shoppe fan anyway, so getting to attend a car cruise and eat a tasty pizza seems like a win-win situation to me. For a car that only had a total of 51 examples ever built, the Tucker 48 really secured a big chunk of automotive history. The cars themselves were pretty interesting, but when you combine that with a charismatic founder, legal issues, and competitive pressures, you have end up with a compelling story. The futuristic car was of course the brainchild of Preston Tucker, a man who was part visionary and part snake oil salesman. Designed by George Lawson and Alex Tremulis, the Tucker really was quite advanced in its day. Lots of big car stuff going on in the Kansas City area this weekend, so let’s get to it! Of course, NASCAR brings their circus to Kansas Speedway, with the Camping World Truck Series on Friday, and the big Sprint Cup Series event on Saturday. With the new car on the new pavement, speeds will be up and excitement will be high. For car cruises, I definitely suggest the Platte City cruise on Saturday night. Nice people, food on-site—it’s hard to pass this event up. You can also check out some Corvettes on Saturday at the Wal-Mart on I-29 and Barry Road. The entire Kansas City car show, car cruise, and car racing schedule for April 17, 18, 19, 20, 21 is listed below. If you woke up and realized you needed to buy some 8-track tapes, a Mack bulldog riding a ’56 Chevy rocket bolted to an International truck radiator shell, or the tail-end of a ’59 Buick that had been converted into a couch, where would you go? Well, if it was last weekend, you could have acquired all of those treasures at the Ararat Shrine Swap Meet, of course. Held at the Antique Show Fairgrounds in Lathrop, Mo., the swap meet had a little something for everyone. I could go look at Corvettes every day. But there just aren’t Corvette shows every day. So what’s a guy to do? Well luckily, if you live in the Kansas City area, you can always go to Vintage Vettes in North Kansas City. There, you’ll find a perfectly lovely selection of Corvettes that will easily fill your Corvette fix. There are even some other interesting cars in there for the non-Corvette fans (is there such a thing?). When you think of the most successful drivers in NASCAR history, names like Petty, Earnhardt, and Pearson come to mind. 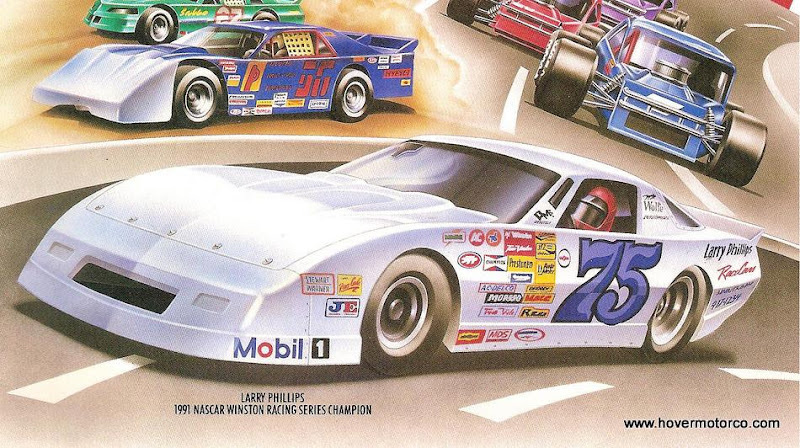 Well, there is one driver who competed locally that regularly makes the list for people in-the-know, and you may have never even heard his name. When it comes to car shows, cruises, and races in the Kansas City-area, the calendar continues to grow. I recommend the Basehor Cruise in Friday night—lots of nice cars and nice people there. Now if your car isn’t quite ready for the season yet, the Shrine Swap Meet in Lathrop is the place to pick up those last minute parts to get it on the road. If you don’t have a car at all, they’ll be happy to sell you one at the Branson Auto Auction. And for local racing, check out Lakeside Speedway—under new ownership for the first time in a decade. Whatever your preference, the complete Kansas City car show, car cruise, and car racing schedule for this weekend is listed below. 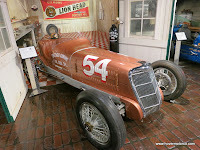 "Speedy" Bill Smith's Museum of American Speed at Speedway Motors. Amazing. When you think of the nation’s great car museums, you probably think of places like Los Angeles or Detroit. A moderately-populated Midwestern locale like, oh, say, Lincoln, Nebraska probably wouldn’t be at the top of your list. But if that’s the case, I’m here to tell you, it’s time to update your list. 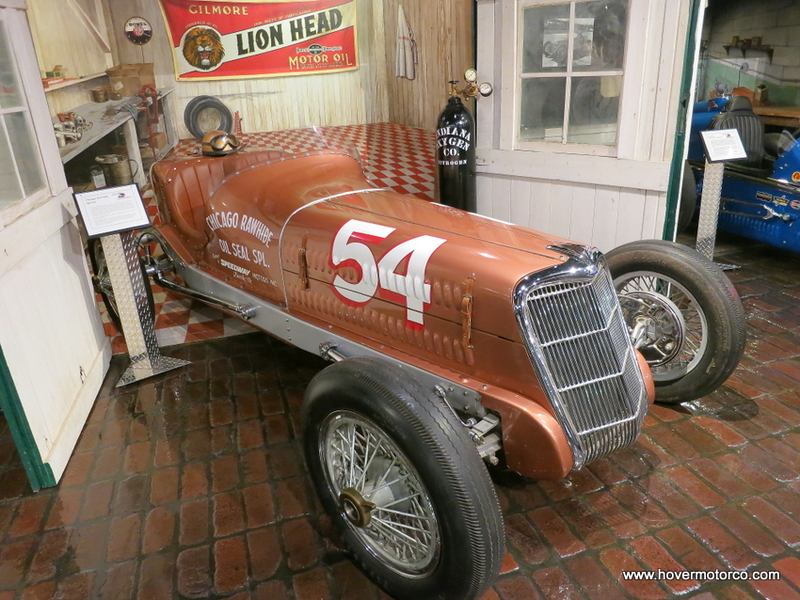 I just got back from the spectacular Museum of American Speed, and the collection in that three-story building will hold its own against any in the country. April Parkville Cruise. Here we go. Well, now we’re getting somewhere. Saturday night was the first Parkville Cruise of the season, and with temperatures hovering in the 75-degree range, conditions were perfect for a huge turnout. When you start taking pictures at about 5:00 p.m., there are some things that need to be dealt with. I like to have the sun behind me so the car is completely lit, but then my goofy shadow wants to be in the picture as well. I hate that too, so I try to get far enough back that my shadow doesn’t show up, and then zoom into the car with the camera. Of course, when I do that, people don’t realize I’m taking a picture, so they sort of wander into the shot to check out the car. It’s rough being me. This winter seems like it has hung on forever, but we’re starting to see signs of life here in Kansas City. This weekend is supposed to be relatively decent (or so they say), so we’ve got some car stuff that you should be out there doing. The Parkville Cruise kicks off this Saturday. There’s a car show at Turner High School, and the Longbranch Cruise has been going on for weeks in Overland Park. Or check out one of the area short tracks for some practice and/or racing this weekend. Whatever you’re into, check out the complete car show, car cruise, and car racing schedule below. 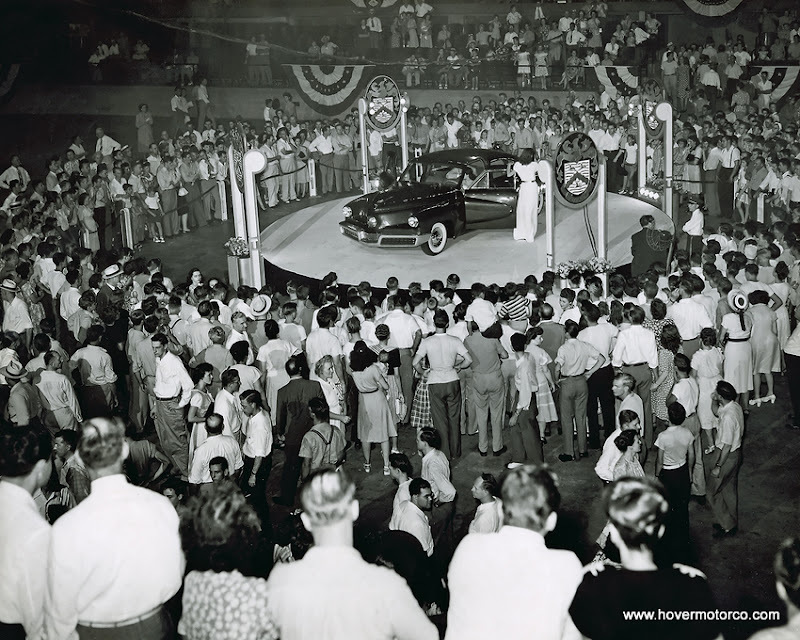 And remember, if you know of a local event that I need to add to the list, shoot me an e-mail at craig@hovermotorco.com. Nothing makes or breaks the look of a car as much as the wheels and tires. They can make a grocery-getter into a hot rod, and they can make a show car into a beater. Get it right, and your car will stand out. Get it wrong, and nobody will notice anything else. Of course, looks aren’t the only thing to consider. There are obviously performance advantages to the right tire and wheel combo. Radials usually handle better than biased-ply tires, but on an older car, they often don’t look right. Bigger, wider wheels might help cornering, but cause ride issues. Bigger brakes may require bigger wheels, and so on.